This weeks featured blogger is the very sophisticated Laura from Mumma&Co. A very busy lady who between Laura & her Fiance Rob have 6 children ( and Rob wants more !! ). If Laura isn’t in need of a night out then no one is. Over to Laura to tell you about what she like to get up to on a rare night off ………. My name is Laura, I’m 23 and I have two beautiful children, Alfie who is 6 and Holly who is almost 7 months old. 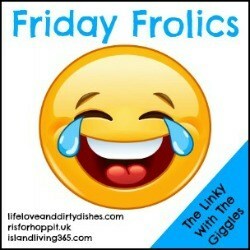 I have a fiance called Rob – he’s the biggest kid of the family! Including his two other children which makes us a crazy family of six! I have a rare blood type which changed from a negative to a positive when I was pregnant with my daughter.. My family always said I was weird! 1. Tell me what you are wearing and why it’s your favourite going out outfit? I am wearing my Coach heels and a dress by Paraphrase. I felt very glamorous in this dress, I prefer more classy dresses which hide more flesh and when I saw this I just had to buy it! 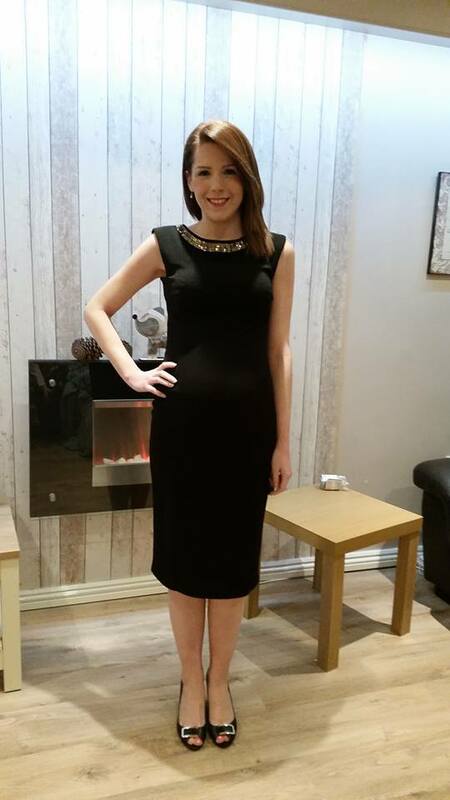 I was attending my fiances work party currently 20 weeks pregnant with Holly at the time, this dress was perfect to try to hide my teeny baby bump. Although the shoes we’re lovely, they didn’t half hurt by 1 am! Night out? What’s that? Haha I’m kidding. Not very often – I’d say I go out once every 4-5 months. The most I would probably spend on a full outfit could range from £40-80 depending where I shop and also depending on the occasion. If it’s for a couple of drinks with a few of friends, I’d shop at Primark. If it’s a big fancy event, Dorothy Perkins, Topshop or River Island. Probably around 2 hours. A few weeks ago when I was getting ready to go out for a friend’s birthday, I started getting ready at 3 pm and we didn’t need to be there until 7! Moral of the story: If you want enough time to get ready with a breastfeeding baby clung to you, give yourself at least 4 hours prep time. I love Old Mout Cider – any flavour! I do drink wine, but I have to be in the mood for it. The most I have ever spent is £80 on a Fiorelli handbag. I never use it! DISTRACTION. I’m not a big fan of sitting kids in front of the TV, but if it means it gives me a spare hour to put my face on, I’ll do it! I would choose to have a night out in Las Vegas! Although I’m not much of a nightlife person – I would absolutely love to hit the nightclubs and end the night in a casino.. You only live once, right?! How Fab is Laura. If you would like to follow Laura and her family then pop over to her Blog: www.mummaandco.co.uk & Twitter: @_mummaandco and follow the fun. I hope you have enjoyed reading my blog series on ‘Parents Night Out ‘ . Feel free to leave me some comments or If you would like to take part then leave your e-mail address below. "Mummy Make Over – Q&A With Alicja Krupa Professional Make Up Artist"
"Kids Fashion – Autumn Primark Haul"
I love the dress, Vegas sounds like an amazing dream night! Getting ready with kids there is a nightmare. I often have to put my make up on one handed because my daughter is sat on my knee ha. I love Lauras outfit, so classy and elegant. She definitely deserves a night out! Ooh I can do the knee click party trick too! Love the dress!